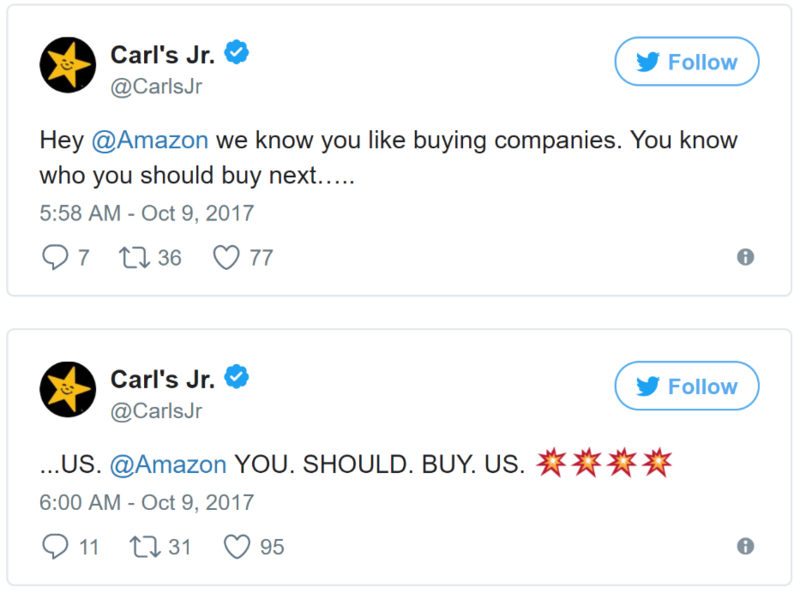 Earlier this week, U.S. burger restaurant chain Carl’s Jr., which is owned by CKE Restaurants ($CKR), made the headlines when it launched a daylong Twitter campaign to encourage Amazon ($AMZN) to buy it. Amazon certainly has form when it comes to adding companies to its ever-expanding business portfolio. In fact, it’s purchased so many over the years there exists a Wikipedia page dedicated to mergers and acquisitions made by the tech giant. One of the company’s most recent high-profile purchases was Whole Foods Market ($WFM) back in August of this year. The sale was notable because it showed the company’s willingness to enter into different markets – in the case of Whole Foods, the grocery market. The jury remains out on whether the campaign has been a success (as of writing, nothing has been reported in the press to suggest a deal has been struck); however, Carl’s Jr. has demonstrated an unusual business use for Twitter: Pitching partnerships. Could it catch on? It’s unlikely. We suspect it would all rest on the pitch finding victory. If Amazon were to take up Carl’s Jr.’s offer, or a fledgling start-up were to catch the eye of a big investor thanks to an inventive social media campaign, it’s possible the ball could start to roll. There will no doubt be some with the view that social media is probably not the best method to pitch your company for sale, while others may see the company’s use of Twitter as inspired and simply a sign of the times and the influencial power social media holds. Regardless, it does show how companies see Twitter as an important mouthpiece, and the social network of choice for putting out corporate messages, even those that traditionally would have been communicated behind closed doors. 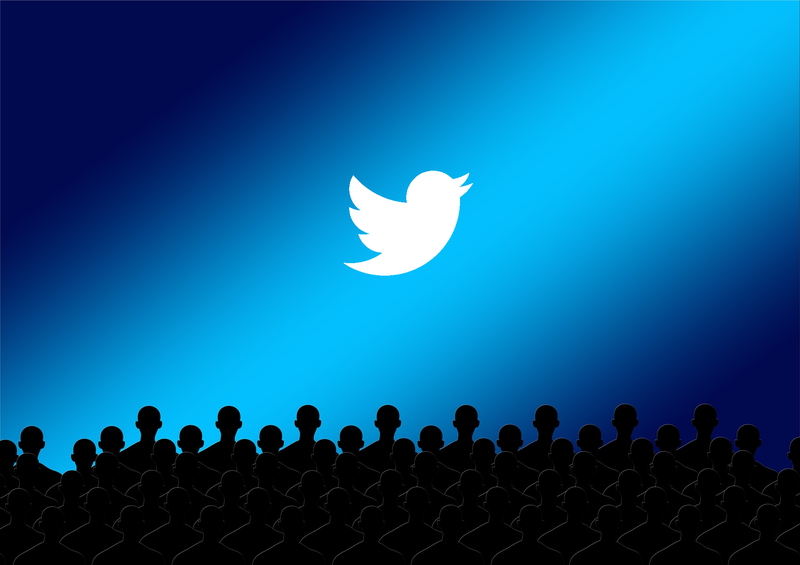 If we were to see more business pitches on Twitter, and it did become social media's answer to Dragons' Den, but one where (unlike the television show) the public could give immediate feedback about the commerciality of the concepts being put forward, this would only reinforce the importance of financial professionals having access to Twitter at work. EarlyBird is the safe Twitter client for trading and research desks. It’s read-only, fully compliant Twitter for financial professionals. Access Twitter without compromising your trading strategies and see the Tweets that move financial markets. Speak to us today about a FREE TRIAL.